Chris is a novelist, children’s book author, freelance writer, and teacher for Houston-based Writers in the Schools. 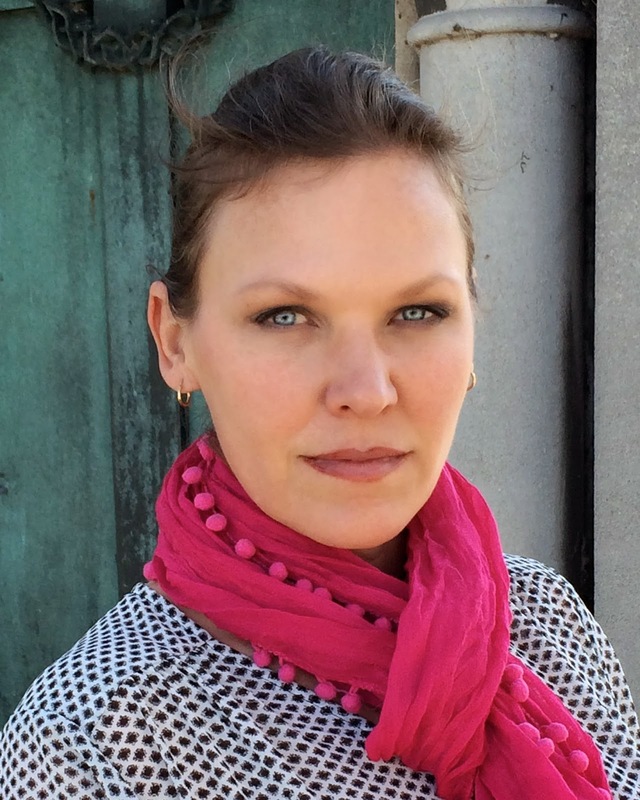 Her most recent novel, Whisper Hollow (Other Press) published on 3/17, and her novel 11 Stories, published by a small press in Houston, was included in Kirkus’s best indie general fiction of 2013. Each of us begins with a sense of place. Place is an essential and inexorable part of our understanding of the world, and later, ourselves. Place is where our families of origin forged their lives. It may be where we were born, grew up, experienced our most mundane or our most profound moments. Even when we wander, we remain deeply rooted by the memories of those physical spaces we have occupied. The very common question, “Where are you from?” confirms the inherent link between place and identity, suggesting, even, that we are not just from a place, we are that place. 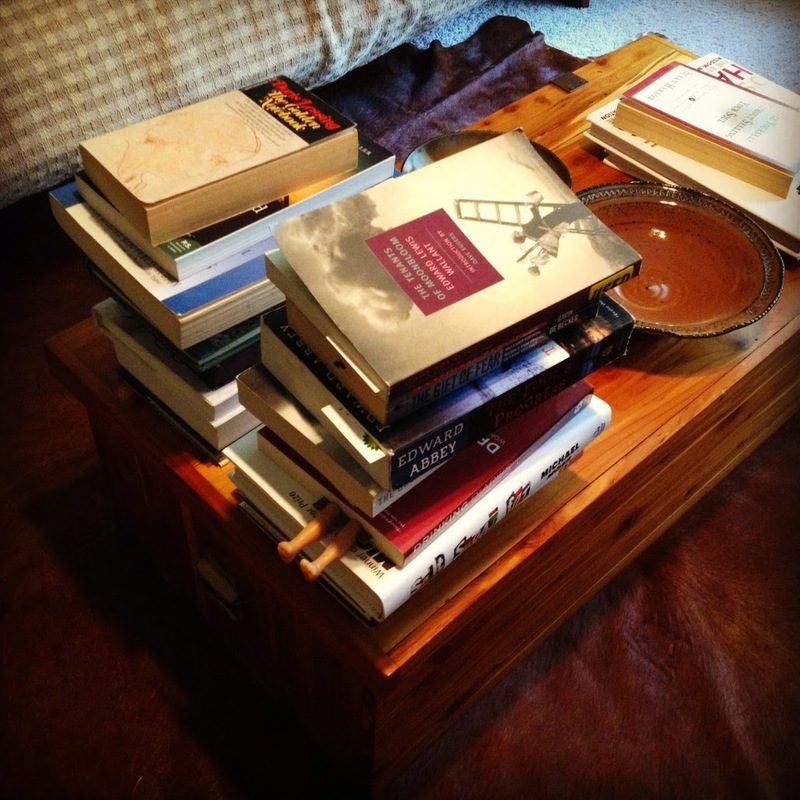 For these reasons, I am reverent about the settings I choose for my fiction—and for myself. Virginia Woolf said, “A woman must have…a room of her own if she is to write fiction.” I feel very fortunate to have one. 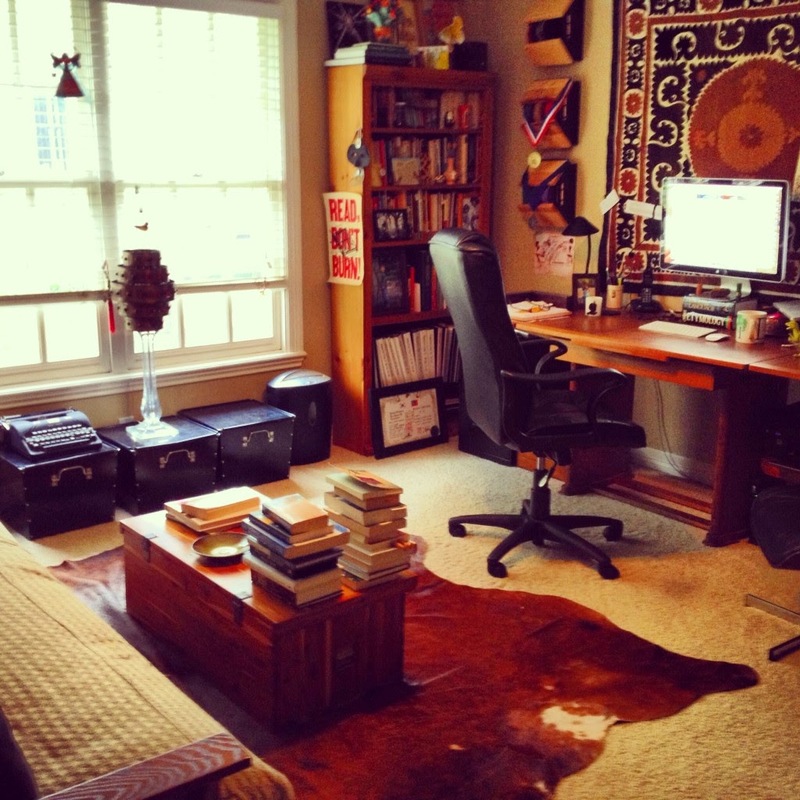 My home office is a refuge and sanctuary, a place where I keep and create stories. It’s also a magic portal to the other, imaginary places where my characters live. Just entering the room is like stepping onto a storied path. Take a look around. Here is the desk I bought for $100 when I was a college freshman. There are my retired taekwondo belts (the current one hangs on the door for easy access.) 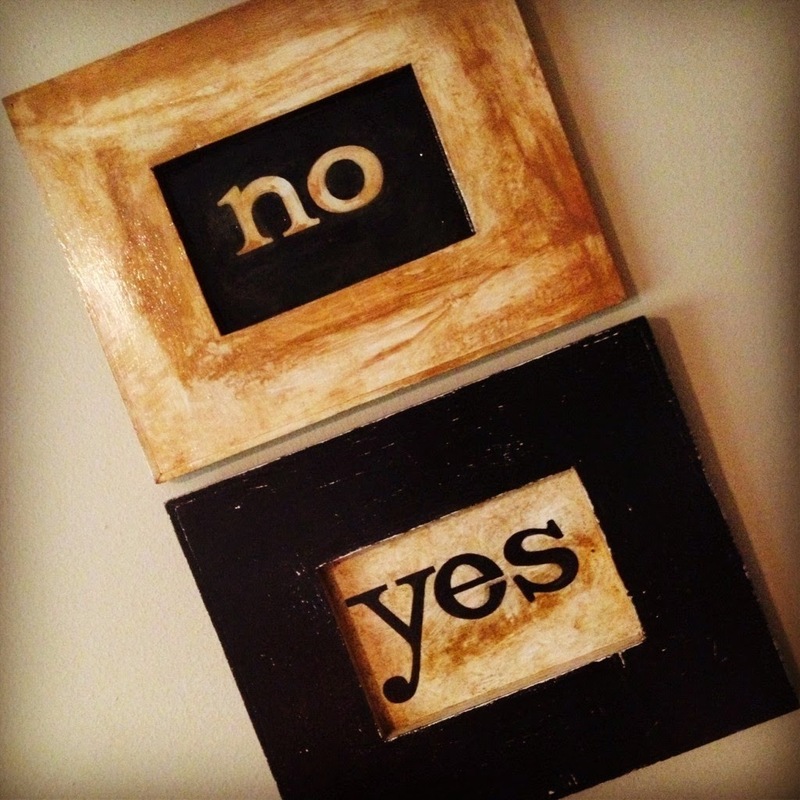 There are the paintings I bought from a street artist; when I need a yes-or-no answer I have only to consult the wall. Here is my cowhide rug, because my home is Texas. There is the chest my grandfather made for me out of West Virginia cedar when I was born. It’s filled with my childhood treasures, and bears the overflow of books that don’t fit on my shelves. 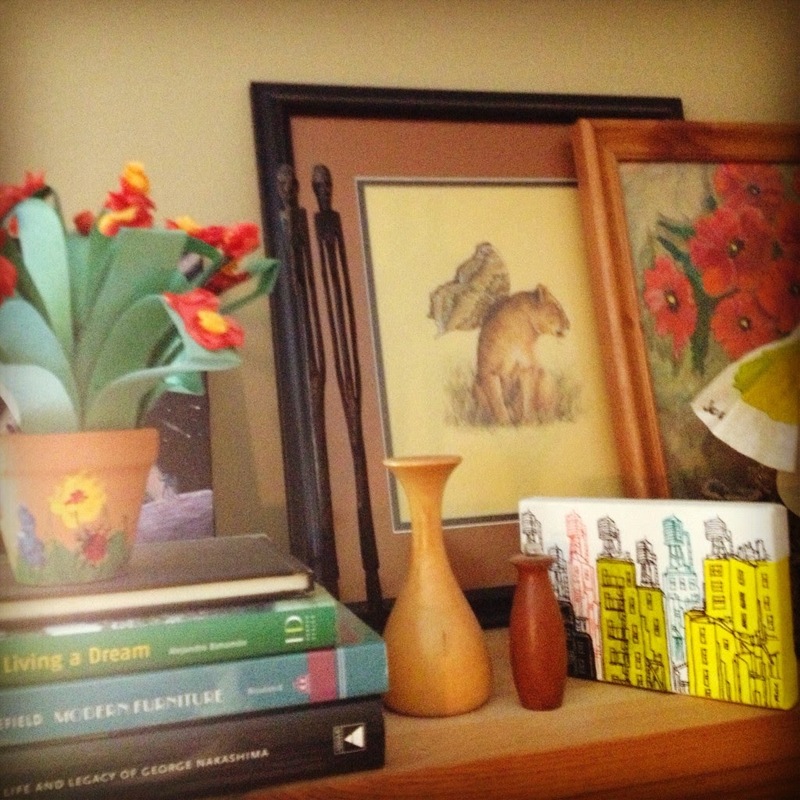 All around, these bookshelves hold not just my favorite books, but also photos and drawings by friends, little mementos and souvenirs and items that inspire or are inspired by my fiction. Here is the shelf just to the left of my desk that is a little altar to my novel Whisper Hollow. There’s a photograph by Don Davis of a cemetery in Centralia, Pennsylvania that inspired the pried-open border around St. Michael’s cemetery in my novel. There is a jar with bits of coal that I picked up along the side of a railroad in southern West Virginia when I was doing research. There is the angry, wind-up nun that reminded me of Myrthen, the angry, would-be nun whose obsession fuels much of the story. There is a print of the photograph “Sasha and Ruby” by the German photographer Loretta Lux that I found long after imagining the characters that eerily reminded me of Myrthen and her twin, Ruth. (Equally eerie is that my daughter’s name is Sasha.) Next to it is a funny German cork that my mother bought in Kaiserslautern about fifty years ago. Out of view is a candle with the name “Cabin Fever” that burned as I wrote about Alta’s cabin in the Hollow. Finally, there is a bear sculpted from coal and a stained-glass ornament in the shape of West Virginia, where my mother grew up. These things connect the two places: that of my mother’s home state, and the fictional setting it inspired. Maybe it’s superstition, or simply comfort, but I like to think that by working in a sacred place, surrounded by books and art and amulets, I’m better able to realize the places created by imagination, and animate them for the reader.